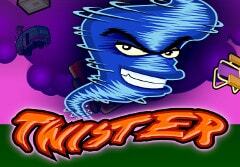 There can’t be many online pokies based on natural disasters, but Twister, from Microgaming, is just such as game. Luckily it’s all presented in a fun cartoon style and filled with strange characters, various objects being thrown around by the storm and a smiling tornado that helps to bring in some extra winning combinations. With a free spins bonus round and the popular gamble game that players can opt into after each winning spin, this older style pokie is still throwing its weight around several years after it was initially released. The action unfolds over 5 reels and 15 paylines, with players able to try it out for just 0.01 per spin, while at the higher bet levels they could be blown away by some of the big wins that come from lining up the right symbols. 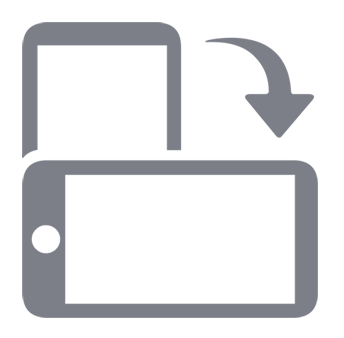 Twister players can opt to activate any number of paylines, from just 1 to all 15, although any winning combinations that land on in-active lines won’t count. By adjusting the value of each coin and the number of coins per line, they can end up with a maximum bet per spin of 150.00. It’s pretty clear that this is an older pokie, as the design is fairly simple, with basic cartoons making up the symbols and nothing in the way of a background image to add a little depth to the appearance. But everything is clear enough and perfectly serviceable, with payline indicators showing how each runs across from left to right. Players win prizes when at least 3 of a kind land across an active payline on adjacent reels running from the left side. There is a useful table that lists how many times the stake per line is won when this happens, with the outhouse being worth 5x, 15x or 50x when 3, 4 or 5 land in the right places. Other lower value icons include the pickup truck, caravan and petrol station, while some stereotyped locals make up the higher value wins. An old guy in a vest, gap-toothed hillbilly in a baseball cap, Dolly Parton lookalike and finally there’s an old lady in pink glasses who is worth the most, rewarding players with 20x, 100x or 500x the line bet depending on how many times she appears on a line. Our happy hurricane will be worth 5x when just 2 land on a line, but anyone getting a full line across all 5 reels will be in for the jackpot payout of 15,000x, or 150,000.00 at the maximum stake. It’s also a windy wild symbol, so can act as all except the scatter if it can complete a winning line. A TV set showing ‘Breaking News’ is the strange choice for a scatter symbol, but not to worry, as it will pay out multiples of the total bet when between 2 and 5 land in any spots on the reels. 1x the stake is the result of 2 scatters appearing at once, while 3, 4 or 5 of them will earn 2x, 20x or 60x. There’s a free spins round triggered any time 3 or more scatters appear as well, with 20 spins playing out and all wins doubled in value throughout them. The spins can be retriggered from within the game and once any remaining spins have finished a further 20 will begin. Like many Microgaming pokies, this one features a gamble game that’s completely optional but can potentially double or quadruple the value of a win if players correctly guess whether a playing card will be turned over to be revealed as red/black or the chosen suit. Players can then either collect the new prize if they get it right, or gamble again for an even bigger reward, but these can be tricky games to get far in, so they are well advised to proceed with caution. Despite the unusual theme and simple drawings, this is a nice looking game that comes with equally standard, but perfectly good, bonus features. It’s presented in a fun style, with a real sense of humour, from the random objects being tossed around by the storm, to the strange characters who populate the town and the cheerful tornado itself. There’s a couple of extra features that perhaps would have been nice to see, such as multipliers for wild substitutions, or enhanced symbols on the reels during the free spins, but we can’t have everything and there’s usually a compromise somewhere when pokies have these additional treats. So players should just enjoy it as it is and not get themselves in a twist over some minor issues like these.